Trend prediction is not only one of my favourite things to read about, it’s also something I absolutely love doing. I’ve mentioned this before, but I studied Fashion Promotion & Journalism at university and one module was to work as a trend predictor for the season ahead, looking at movements in society, travel destinations, colours, online trends etc and work out how this would translate into fashion or interiors. I swear, if I hadn’t have gone down the route of being a journalist, I would have worked my hardest to get into WGSN (basically one of the biggest trend prediction company in the world). 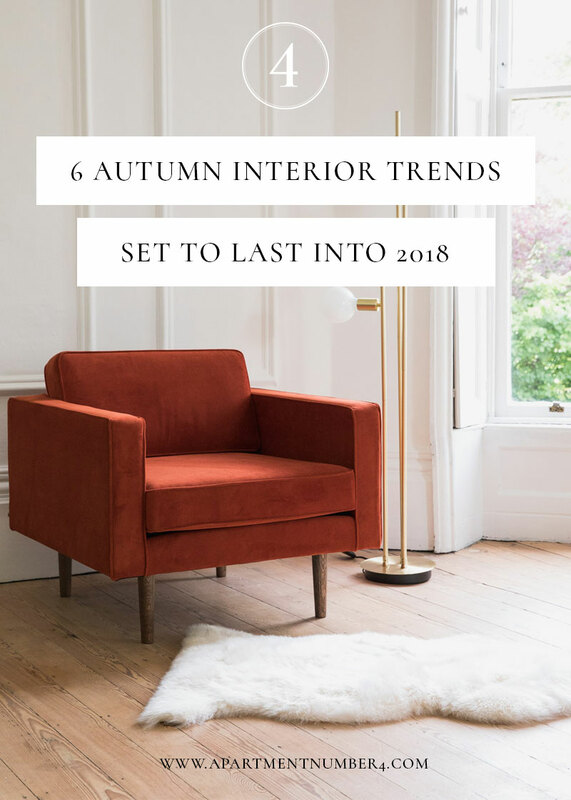 Which is why I absolutely loved partnering with home décor emporium, Rose & Grey, this month to talk about 6 of the key autumn interior trends that will work in your home well into 2018. The beauty of longer-lasting investment trends, rather than mass-produced fads – copper I’m looking at you – is that you’re not redesigning your space season after season. One of the biggest interior trends of 2017 so far is texture and that continues to translate effortlessly into autumn and winter. 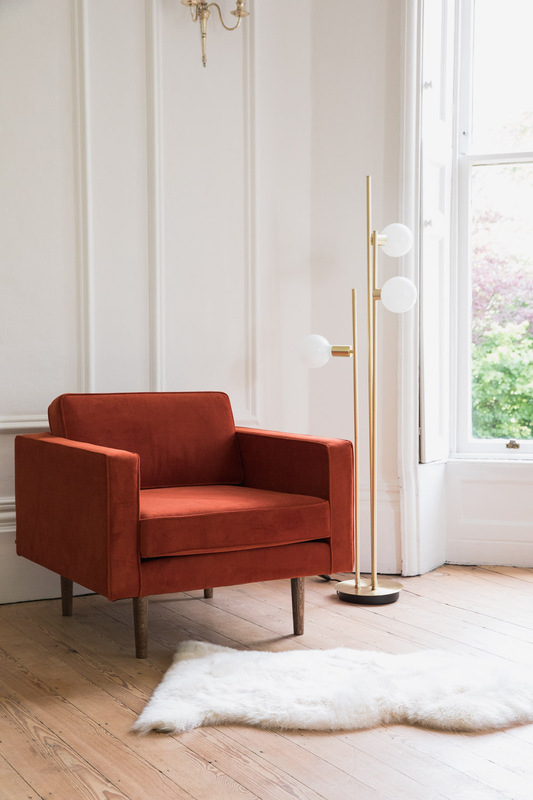 Velvet remains a popular fabric across furniture – can we just talk about how amazing is this burnt orange armchair is please – and with a sheepskin rug thrown over the back, it creates a deliciously tactile reading nook. 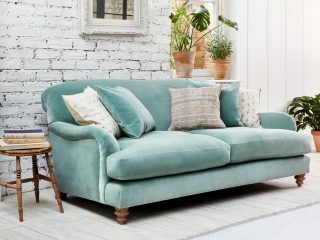 Don’t be scared to team unexpected fabrics together – wood and velvet, rattan and mohair and concrete and plants, for example, all work incredibly well together. 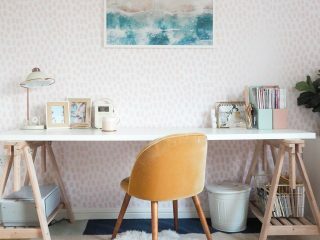 Here are three of my favourite pieces of texture to make your home a more tactile place this season. 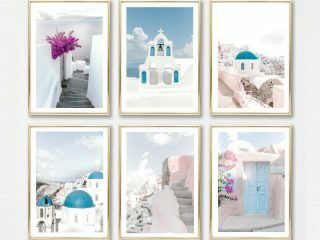 Following on from the global glamour trend of last year, Modern Nomad brings together an eclectic combination of homeware, inspired by travels across the world. 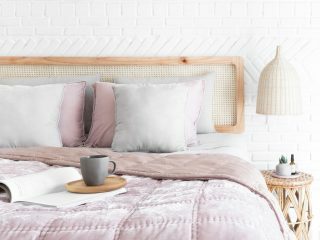 The key to this trend is to showcase a carefully curated mix of artefacts against a simple white backdrop, while textures such as rattan and concrete should be layered to add interest. Don’t worry if you’re not travelling too far this autumn, you can create your own Modern Nomad feel to your house with these three pieces. Although cacti and succulents haven’t quite disappeared off the radar just yet, plant life makes its way out of the desert and into the jungle this season. Monstera leafs remain a favourite, while the Begonia tree adds a pop of colour to any room. 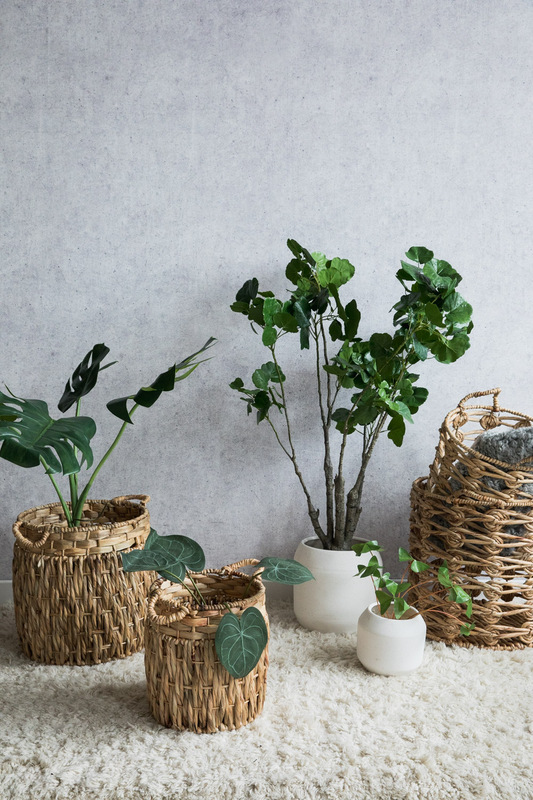 Of course, for those of us who are less than green fingered, have pets or are just plain forgetful, faux botanicals are the perfect alternative. Just throw in a couple of woven wicker planters and you’ve captured two dominating autumnal trends in one. 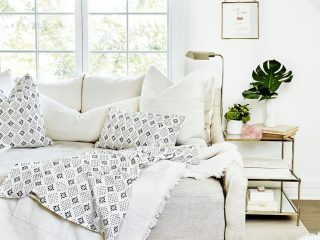 Get the look yourself with these ideas. 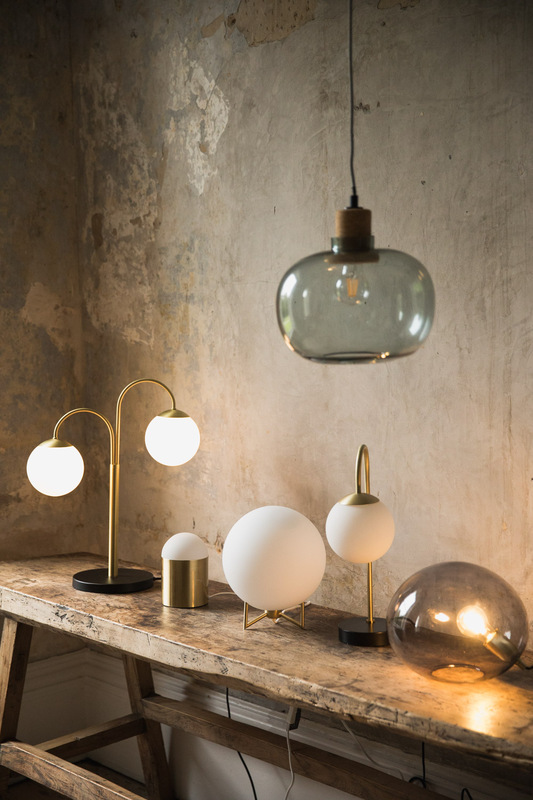 Lighting is often one of the most important, and most overlooked, areas of your house, but this season sees the spotlight shine firmly on spherical pendant and round table lamps. With a definite nod to the art deco era, a combination of frosted glass and a brass finish creates an elegant addition to any bedside table or office desk. I’m kind of in love with this large globe table lamp below, especially as it emits such a warm glow – perfect for those cosy autumnal evenings in, wrapped up in a blanket and a huge Toblerone by your side (is that just me?!). 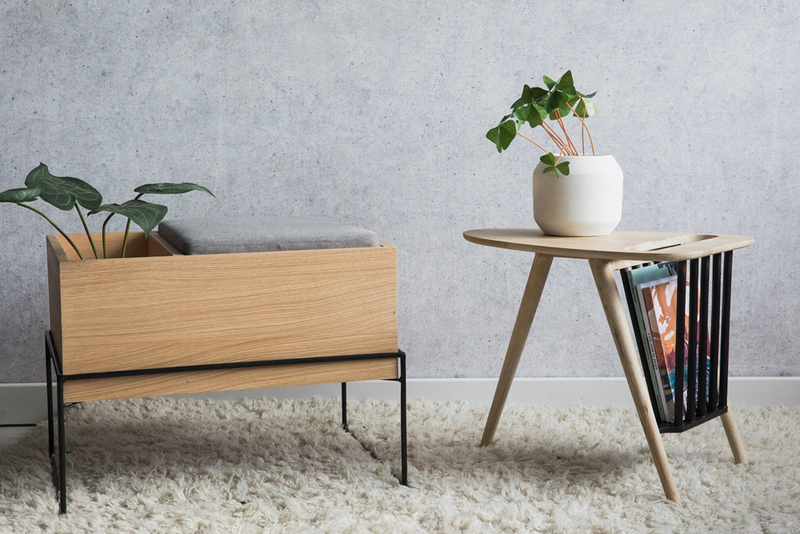 Function and style don’t always arrive in the same package, especially when it comes to homeware, but this season sees a number of clever storage ideas integrated into sleek multi-functional furniture design. 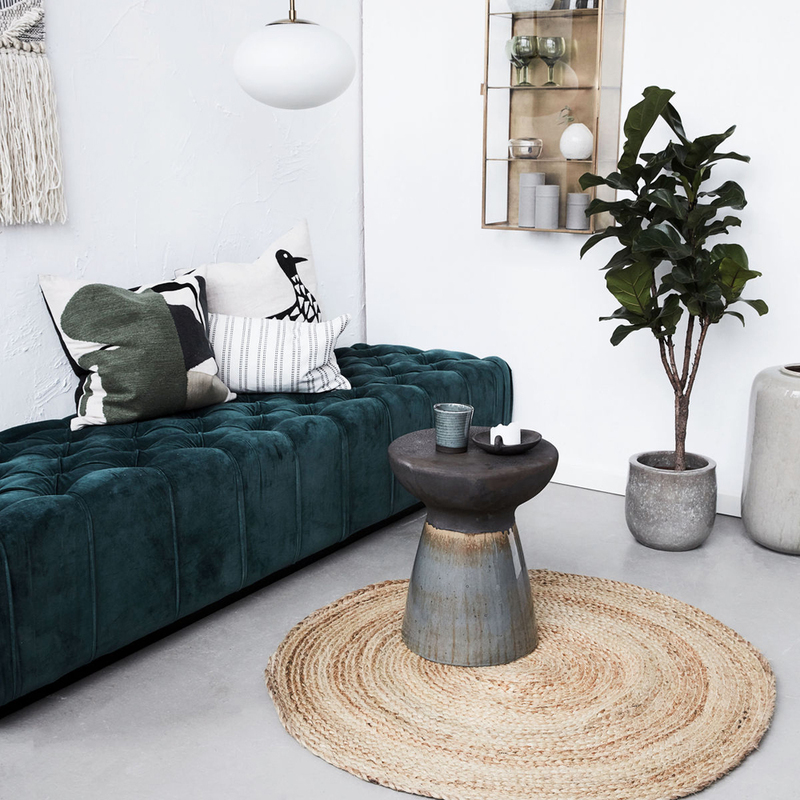 Danish influences can be spotted throughout, including clean lines and mid-century modern silhouettes, while furniture that has a dual purpose is ideal for renters and small-space living – such as this velvet pouffe, which doubles up as a coffee table. 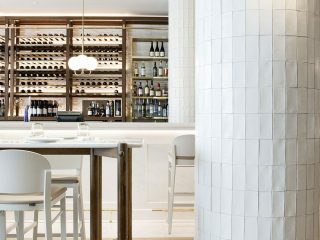 Here are three of my favourite designs that score top points for both form and function. 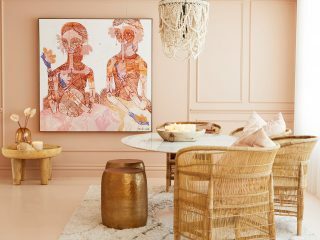 Designed to add personality to a home, the trend for artisan products follows on from Modern Nomad in the way that each piece has a unique story to tell. 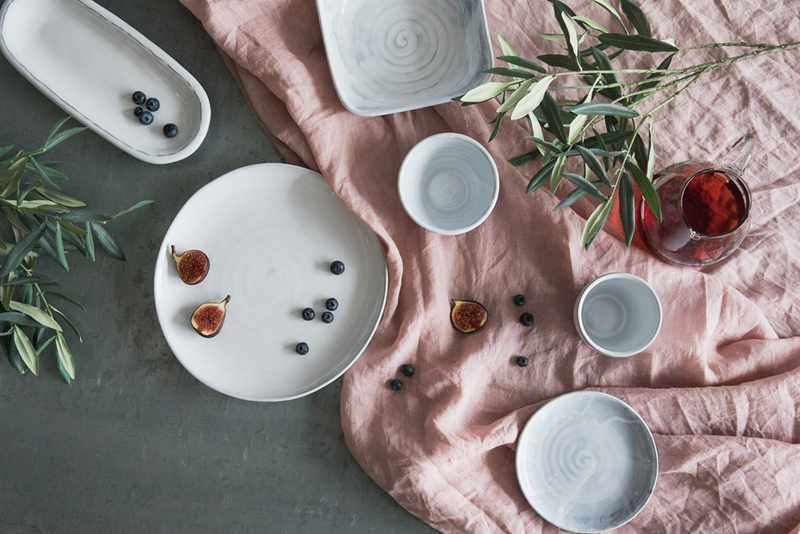 Tableware ceramics are imperfectly round, with texture such as crackled glaze and a watercolour finish adding depth. 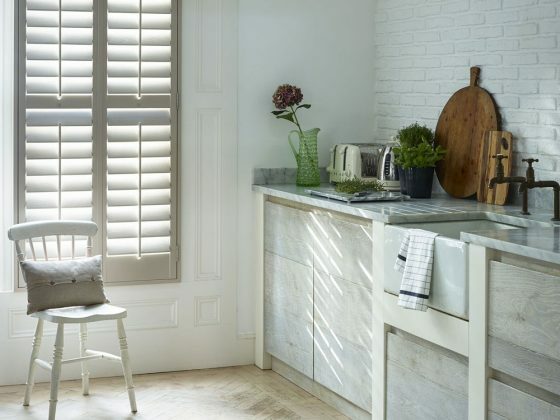 There’s such a rustic feel to this trend which wouldn’t go amiss in a stereotypical French farmhouse kitchen. Here are some pieces I’d love for my next dinner party. 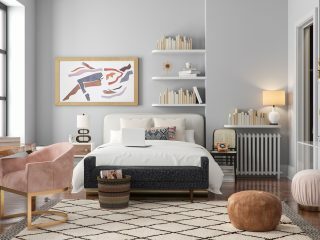 Which of these autumn interior trends are you going to translate into your own home? 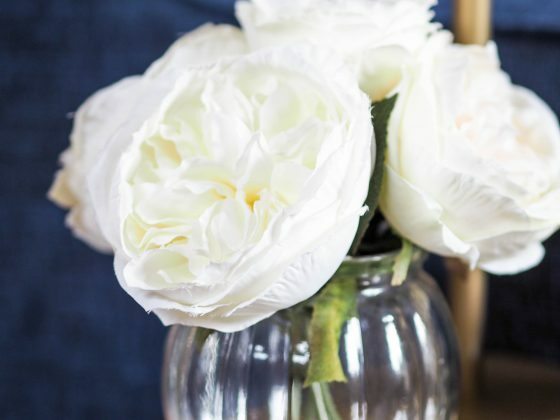 I think I’ll be mixing up textures, adding more faux botanicals with basket planters and giving an artisan finish to my Sunday brunch table setting. *Post in partnership with Rose & Grey, but as always, thoughts and opinions are my own. I just a new apartment with a super industrial look and I’m digging to find cute things for it. I adore the globe lights so much because they look like such great accent pieces. Love your suggestions! I’m awful with trends as I’m too slow to react. However, I like reading about them and see what’s going on. The irregular ceramics trend is interesting (just hope it’s dishwasher safe).